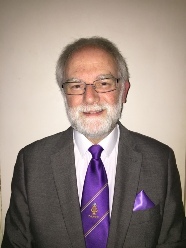 Tony took over in January 2010 after serving as deputy MD from October the previous year.He has been involved in choral music most of his life, starting as a chorister in his local church at the age of seven and then singing with school choirs. He received formal voice training as a teenager and became a member of Wombwell and District Amateur Operatic Society where he took principal roles for a number of years. During his career as a teacher, he was always involved in music and drama and outside school, enjoyed singing with male voice choirs, joining the baritone section of the T.H.M.V.C. In 1983. 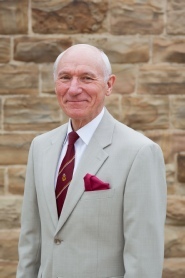 In addition, Tony directs the Barnsley & District U 3 A Choir, a mixed choir of 90+ voices,which he set up in 2009. He also directs Wombwell Senior Citizens Mixed Voice Choir. His wide knowledge of music is proving an inspiration to all the choirs, which are now learning new styles and repertoire. Irene began playing the piano at a very young age and first accompanied Thurnscoe Harmonic at the age of 13 years. 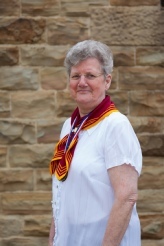 She was born in Thurnscoe and continued her education at Barnsley Technical College. She has been principal accompanist since the age of 17, with a nine year break accompanying her husband in the far east in the R. A. F. Irene is a very talented organist and accompanist to Wombwell Senior Citizens Mixed Voice Choir. Stephen Carey is a probate lawyer by profession but has been an amateur musician from a very early age. From singing in his local church choir he became a church organist at the age of 16. He studied music to A level at school and later had organ lessons with Phillip Rushforth at Chester Cathedral. He plays regularly in three churches in the Retford and Worksop area. He has been accompanist for Retford Male Voice Choir since 1993 and is also accompanist for Cantate, a mixed voice choir based in Retford.